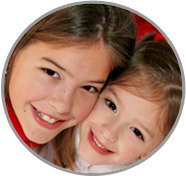 This Nanny Agency in Lebanon County will provide your family with only the most exceptional nanny for your family! Call today! ABC’s Nanny Agency in Lebanon County provides nannies like Debbie who can bring real life experience to families in need of practiced caregivers! “Debbie was a gift to us. She took wonderful care of our son and she was helpful in every way. She was a friend from years past and then she agreed to be a nanny for us on short notice. She was extremely faithful and reliable. My son loved her and so did I. You will be very happy if you hire her through this Nanny Agency in Lebanon County." Please call 717-221-1020 today to speak with a placement counselor and start your search at the perfect Nanny Agency in Lebanon County!